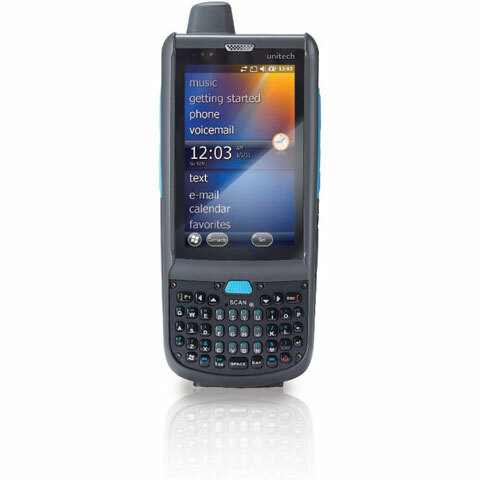 Unitech has launched several new models of the popular PA692 rugged handheld computer. With brand new configuration options available, such as HF and UHF readers, 2D imager, and your choice of QWERTY and numeric keypads, there’s sure to be a PA692 handheld computer suitable for your enterprise and application. You can now equip your PA692 handheld with an HF or UHF RFID reader. This means that our new PA692 can be used to read HF (high frequency) tags often used for building access, transportation, and electronic payment systems. As with most HF readers, the PA692 is built for contact and proximity applications. Generally speaking, mobile workers must hold the RFID tag up to the PA692’s built-in sensor. The UHF version of this device has a UHF Near Field reader, radio frequency technology with a longer range. UHF RFID tags are a relatively low-cost solution and can be placed just about anywhere.With longer range RFID, you can search for objects in the physical world. A popular application is document tracking in hospitals, law offices, and courthouses. By streamlining the way workers search for specific documents, UHF RFID can help many operations become more efficient. The PA692 was originally available with an aggressive 1D laser scanner. A 2D imager model is now available, allowing the PA692 to read both 1D and 2D barcodes quickly and aggressively. This new versatility is vital to a variety of applications. And as data collection continues to migrate to the 2D barcode, which holds much more data than its linear counterpart, choosing a 2D imager on your rugged handhelds can future-proof your business. Finally, you can always facilitate data entry with your choice of keypad (QWERTY or numeric). With these options, customizing your PA692 rugged handheld computer to better meet your specific needs is easier than ever. Maximize the value of your solution by choosing rugged and versatile hardware. For assistance finding the right Unitech mobile computer for your needs, contact us at BarcodesInc.